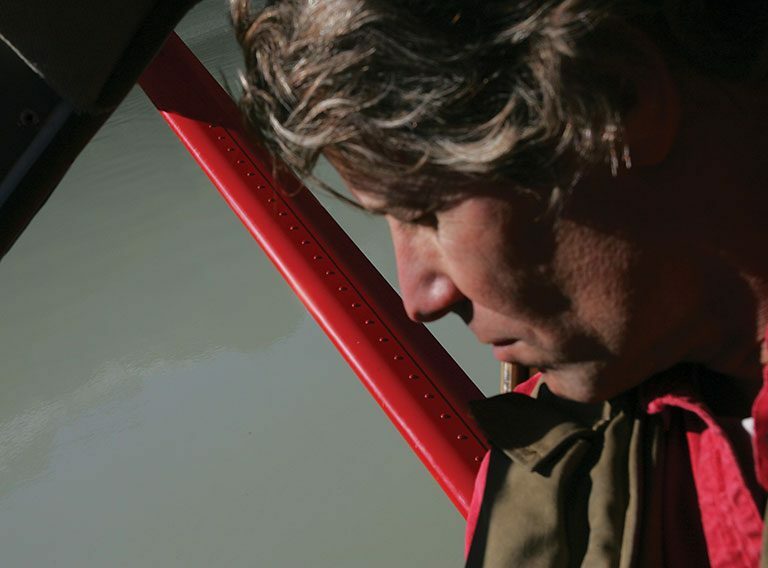 Mark possesses a unique blend of skills: pilot, photographer, instructor and guide. He has 25 years of piloting experience and considers safety his first and foremost responsibility. After that, he delights in helping guests get great shots, whether it’s assisting with f-stops or maximizing an aesthetic point of view. For those who have mastered the basics, he provides coaching on advanced techniques such as high-key exposures, focus stacking, high dynamic range, motion blur, macro and framing for effect. Mark is a firm believer in shooting it right in the field, and that it’s better to look for great conditions in nature than to spend hours fixing things in a digital darkroom. Before shooting, he encourages guests to experience a place, breath it in and ask, what makes this place special? He believes this is the first step to making powerful photos, and that it’s better to come home with one great image than a hundred nice ones. Mark was a career student who eventually graduated with a BS from the English Department. His jobs ranged from fry cook to chimney sweep, roofer to ranch hand, day care teacher to actor. When his attention finally turned to flying, he put all his time, money and effort into becoming a pilot. He maxed out credit cards in the process, reasoning they could be paid back when his flying career took off. But before he could be hired in Alaska, it was necessary to spend 2 years teaching others to fly and building a resume. Following two previous summer stints in Alaska, Mark returned for good and spent the next 5 years in a small village, flying an assortment of passengers and cargo including miners, prisoners, medivac patients, school kids, mail, caskets, and hay bales. During that time, he flew twin engine Navajos and single engine Piper Cubs, along with a variety of other aircraft on wheels, skis and floats. Eventually, Mark moved to Eagle River, a bedroom community about 13 miles northeast of Anchorage. By then, he was a seasoned pilot and successfully applied with Rust’s Flying Service. That was 18 years ago. He has since enjoyed piloting and guiding in the varied locations this reputable company offers on its tours. Mark’s photographic interest grew out of response to the overwhelming and constantly changing beauty of Alaska. In the beginning, he simply recorded experiences to share with family and friends. But eventually a portfolio grew, along with a resume including multiple exhibits on the west coast, a contract with a stock advertising agency, and a published book. His images have appeared in Germany’s Stern Magazine and National Geographic; both publications featuring two page spreads. Many of his photos have made it into text books and other various publications around the world. The Smithsonian, Air & Space Magazine sent him on assignment to Valdez, and the BBC Travel Channel interviewed him for a piece on flying and photographing Prince William Sound, Visiting Remotest Alaska. As interest in Mark’s photography grew, so did visitor’s curiosity about the locations he was shooting. In response, he began developing photo-centric tours with Rust’s Flying Service, which led to Rust’s and Alaska Photo Treks collaborating to advance his offerings further. Mark’s philosophy is that it is much better to open yourself to what the day will bring and be surprised by something you could not have wished for, because you didn’t even know it was possible. He says, “Those are days of great reward, both in experience and art.” Two of his favorite quotes are, “You don’t take a great photograph, you make it.” – Ansel Adams, and “Good photography is not about ‘Zone Printing’ or any other Ansel Adams nonsense. It’s just about seeing… the rest is academic.” – Elliott Erwitt. Mark believes both men were correct. Erwitt trusted his keen senses while Adams explained how to get there. If you go on a photo safari with Mark, the most important thing you can do is see with a photographer’s eye toward the final print. If you’d rather fly around gorgeous mountains and look at glaciers and grizzly bears, well, that’s on the agenda too. 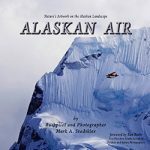 Mark Stadsklev is an experienced Alaskan bush pilot, photographer, instructor and guide. He flies tours to Denali, Prince William Sound, Lake Clark and Katmai National Parks – where the bears are. View his gallery at artwithinnature, or check out his book Alaskan Air – Nature’s Artwork on the Alaskan Landscape. Photography Tips – Master Your Camera on Tour! Subscribe to The Alaska Photo Treks Newsletter! Get free photo tips from our instructors and be the first to hear about our upcoming photography workshops and Alaska photo tours.